Craft lovers will be glad to know that Quota International of Tweed Heads/Coolangatta Inc will be having their 15th Annual Craft Fair. 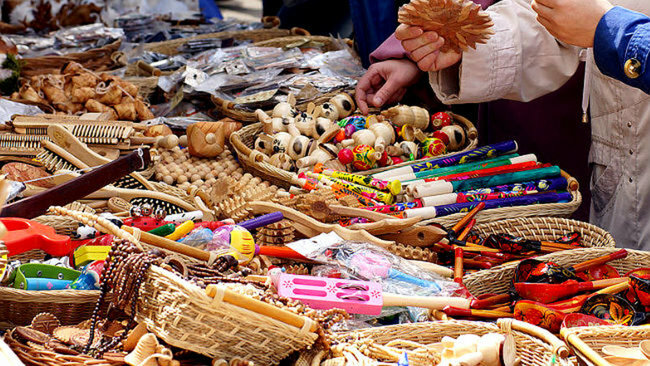 The type of crafts will include wood turning, patchwork, quilting fabrics and kit supplies, leather handbags, pearls, embroidery, heritage lace, card making, jewellery, woollen crafts, handcrafts and so many more. Create beautiful and colorful patchwork. Learn how to make fashionable jewellery. Find out how to create woollen crafts. See how leather handbags are made. A canteen offering morning and afternoon teas and lunch will be available. The 2015 Quota Craft Fair will be from Friday July 17 to Saturday July 18, 2015 from 9am to 4pm. The event will be held at Tweed Heads Civic Centre, Corner Wharf and Brett Streets Tweed Heads NSW 2485. Tickets cost: Adults $5, School students $3 and Children under 12 are free. This event is suited for all ages. Everyone is welcome to join. Spend a delightful day crafting. Learn arts and crafts skills you can use. Don’t miss this fun event. If you’re planning to enjoy this event, you may want to book our Tweed Coast Accommodation. Our resort is just a short drive from Tweed Heads Civic Centre. Our resort offers a choice of two bedroom, three bedroom, and four bedroom apartments. Whether you are travelling with a large group or a small group, our resort has apartments to suit your needs. The self contained and fully furnished apartments feature pool/garden terrace views, four pools, one heated pool and spa, gymnasium, DVDs, Foxtel, cots, high chair, WiFi and more. Aside from our comfortable apartments, we also have guest facilities. The guest facilities include two outdoor swimming pools, a fitness room, day spa, restaurant and bar, barbecue facilities, business centre, conference/meeting room, direct beach access, dry cleaning/laundy services, secure parking, spa, tour desk, WiFi access, and more.